AR Murgadoss has chosen a Vietnamese Johnny Tri Nguyen as the main villain in his 7am Arivu, which has Surya and Shruthi Haasan in the lead. Johnny is a Vietnamese American film and television actor, stunt double and martial artist. 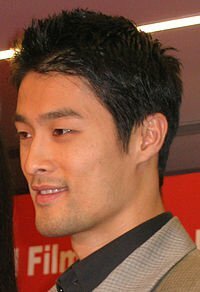 Johnny Tri Nguyen is a martial arts expert and was seen in films like Tom-Yum-Goong and Cradle 2 the Grave. His work as a stunt double includes the role of Spider-Man in Spider-Man 2 and as the Green Goblin in the first feature film. He practices deadly combats like lien feng kwo, wushu, tae kwon do, tai chi, aikido, and vovinam. Murgadoss has shot some deadly martial arts scenes featuring Surya and Johnny Tri Nguyen in Thailand. Murgadoss in an interview has said: "The action scenes of 7am Arivu will be as deadly and fantastic as a Hollywood action movie. We have special effects from the Stan Winston Studios in LA, to make the visuals world class."